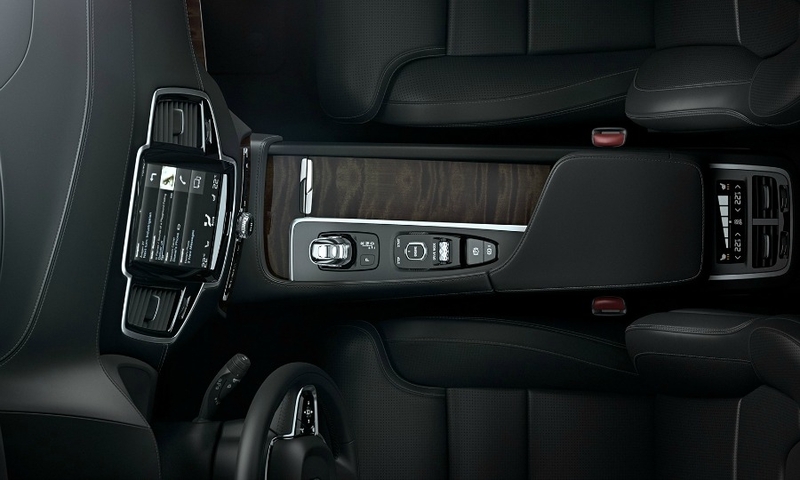 LONDON -- The new Volvo XC90 will have a large tablet-like touchscreen in the center console to control the premium SUV's in-car features, following a trend that electric car maker Tesla Motors started with its Model S.
The touchscreen is the second-generation XC90's "most striking" interior feature, design chief Thomas Ingenlath said on Tuesday in a release, in which the company also said the XC90's interior is "the most luxurious ever designed for a Volvo." 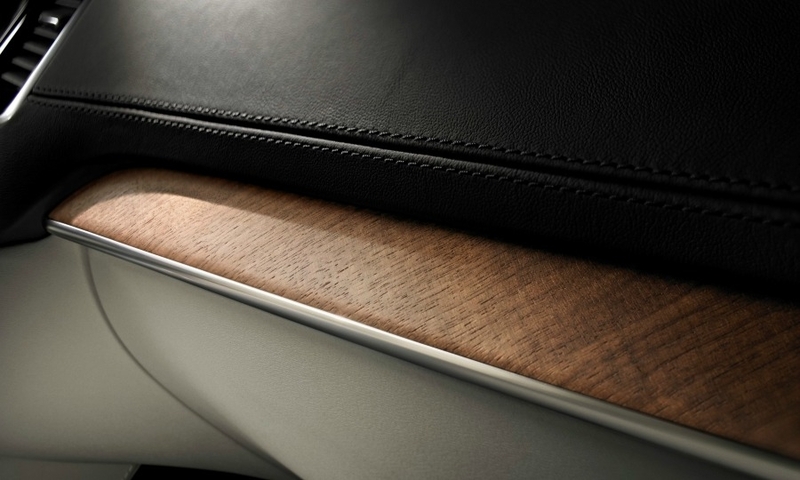 The Swedish automaker revealed details of the seven-seat car’s interior ahead of a full reveal of the SUV in August. 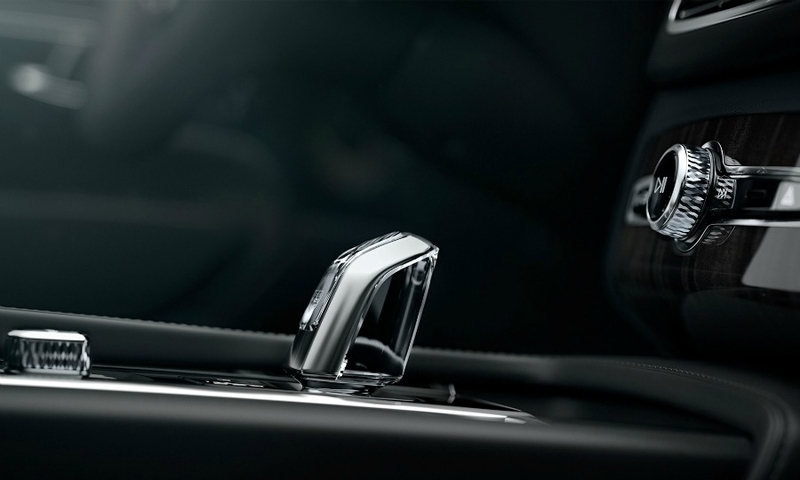 European sales for the XC90 start next spring. 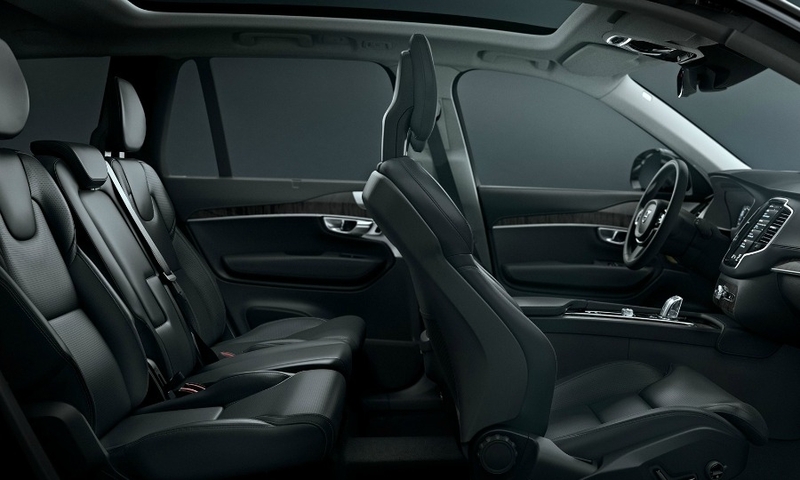 The XC90 will be the first built on Volvo’s new modular SPA platform, which the carmaker says will eventually be used for all models except the V40 compact. 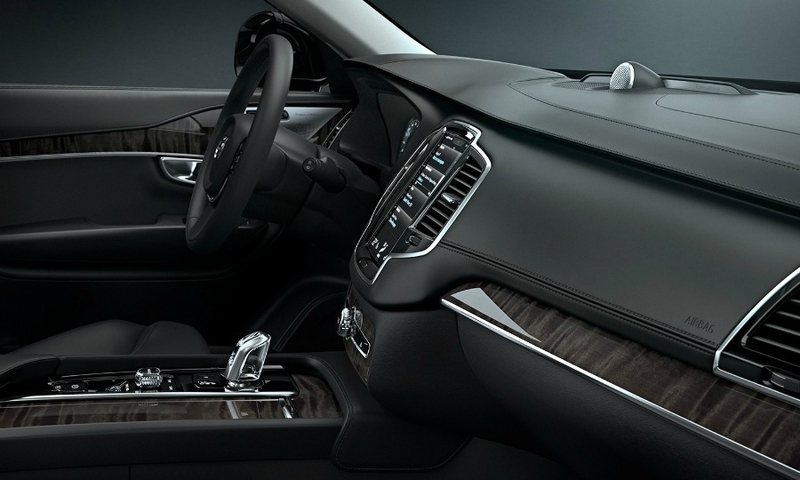 The launch of the XC90 is crucial for the company. Earlier this year CEO Hakan Samuelsson told Automotive News Europe he’s targeting full-year sales of 100,000 for the model, which goes up against rivals such as the BMW X5, Mercedes M class and Audi Q7. It has been 13 years since the original XC90 debuted. That model used to be Volvo's No. 1 seller globally with annual volumes of more than 80,000, but last year it ranked sixth in the carmaker's lineup with sales of 23,784, down 24 percent from 2012. Volvo’s failure to replace the XC90 sooner was “not very smart,” Samuelsson told journalists last year. 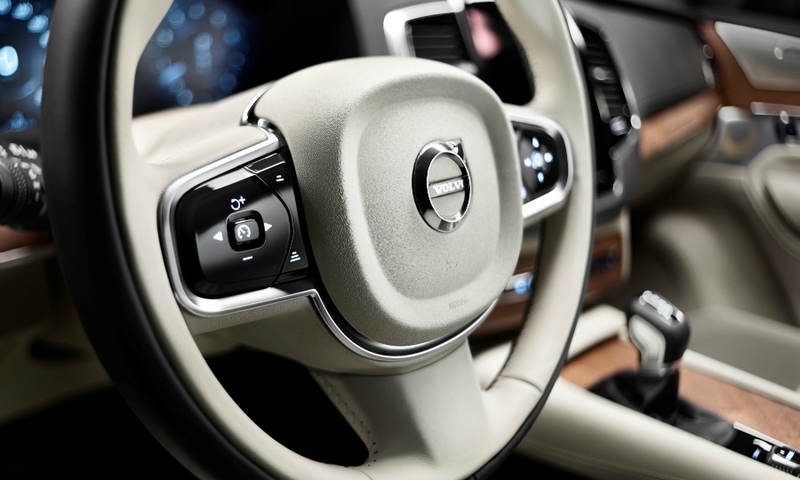 The new XC90’s touchscreen, which will use Apple's CarPlay communications system, operates many functions, leaving the central portion of the dashboard “virtually button free,” Volvo said. 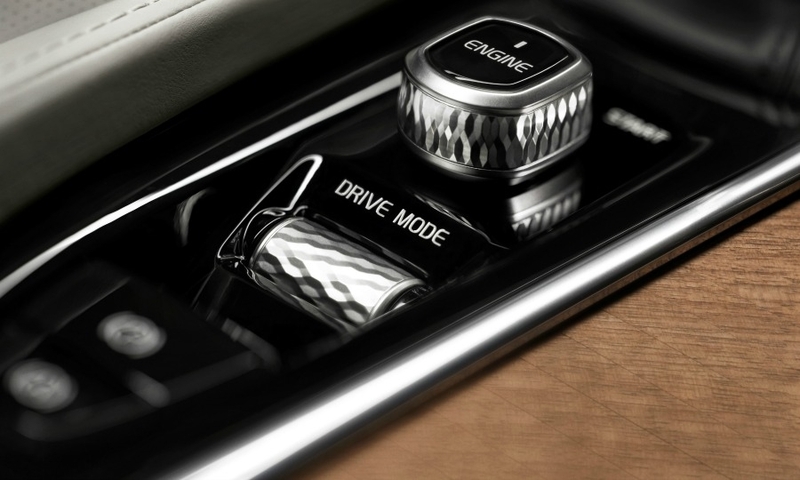 No details were given, but it’s likely that the touchscreen will bring iPad-like functionality to equipment such as the ventilation system and gadgets such as heated seats. The battery-powered Tesla Model S has impressed drivers with the 17-inch touchscreen that dominates center console and is used to control similar in-car features. 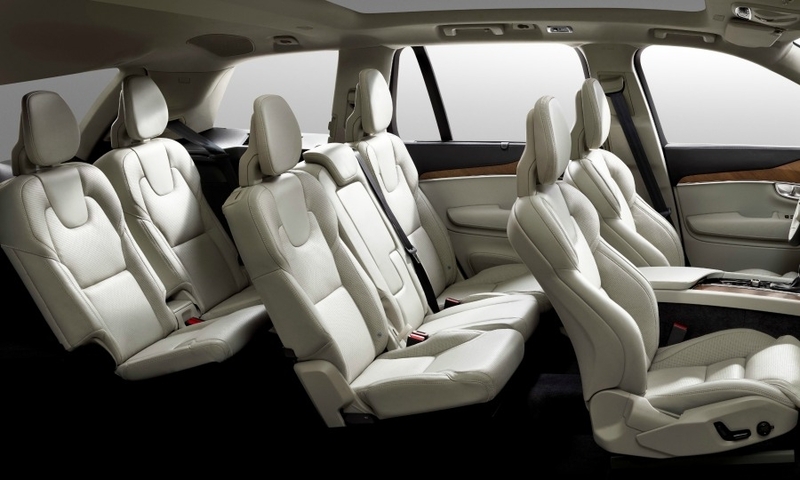 The XC90 comes with new, thinner seats that free up more room for passengers, according to Volvo. 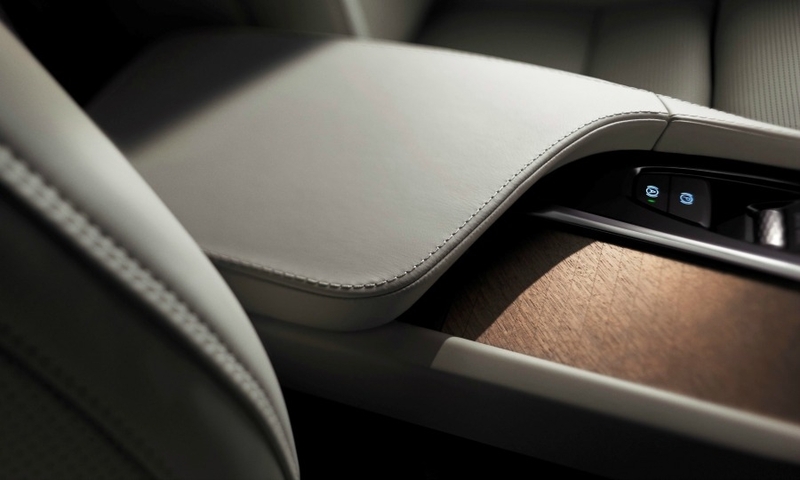 “Just like classic Scandinavian chairs, our new seats prove that seats don’t need a lot of thick padding to be comfortable,” Robin Page, Volvo’s interior design director, said in the statement. The middle seats are split into three. 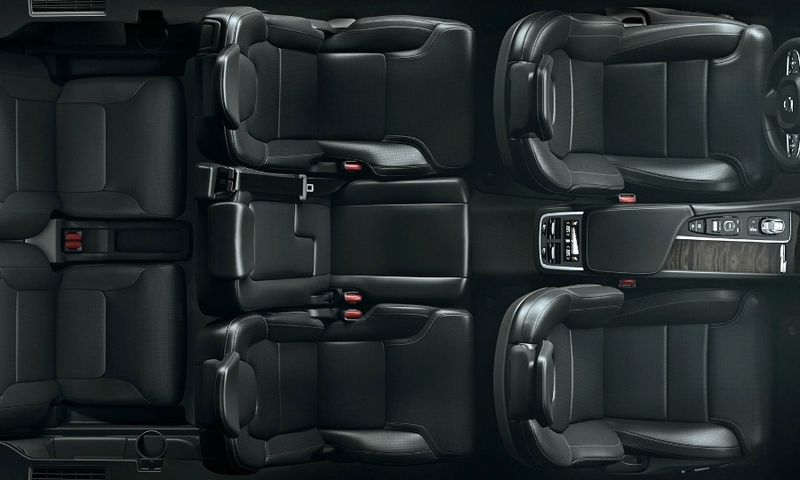 Those seats can both recline and slide forward to provide more room for either luggage or up to two passengers in the third row of seats. 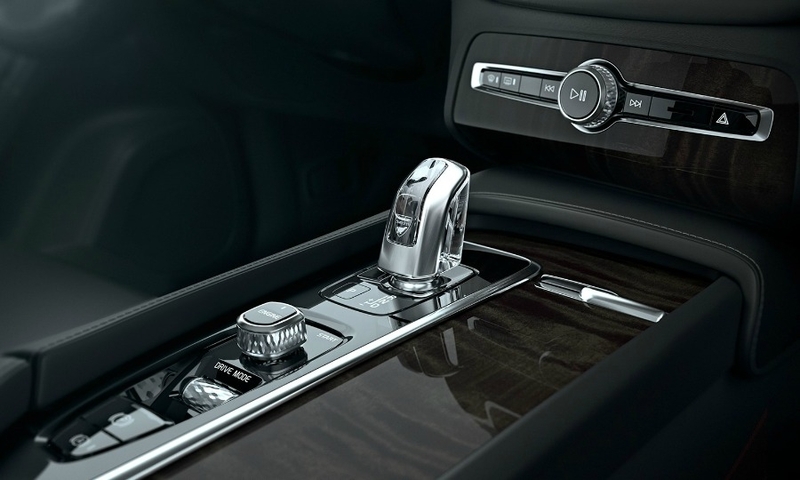 Other high-end details inside the new XC90 include a gearshift lever made from crystal glass from Sweden's Orrefors and a diamond-cut start-stop button for the engine. 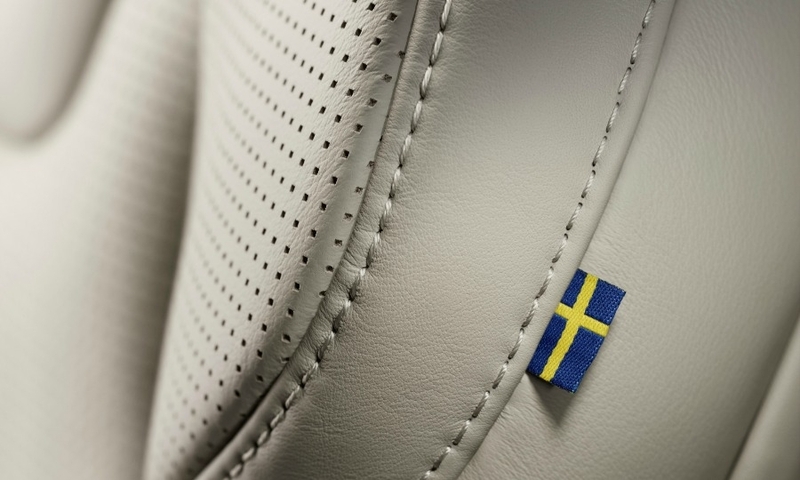 Volvo aims to double sales to 800,000 by 2020, with 200,000 of those coming from China, home to Volvo’s parent company Zhejiang Geely Holding Group, which bought the Swedish company from Ford Motor Co. in 2010. 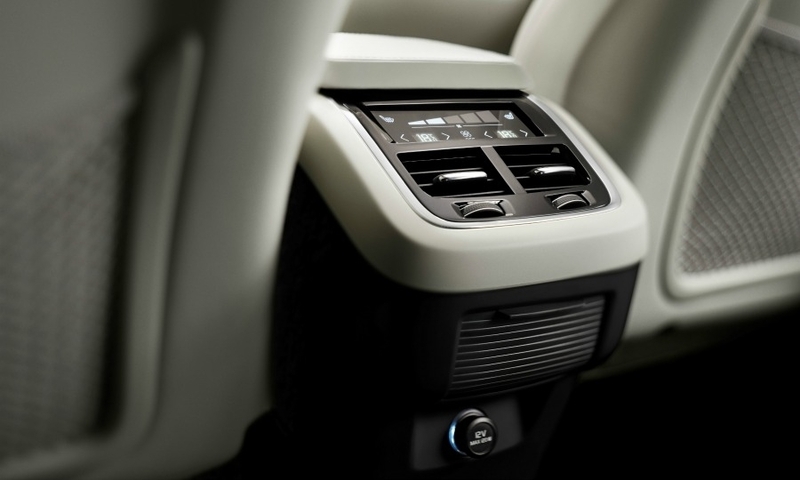 The XC90 is the first car fully developed by Volvo under Geely's ownership. Last year Volvo sold 427,840 cars worldwide, an increase of 1 percent on 2012. 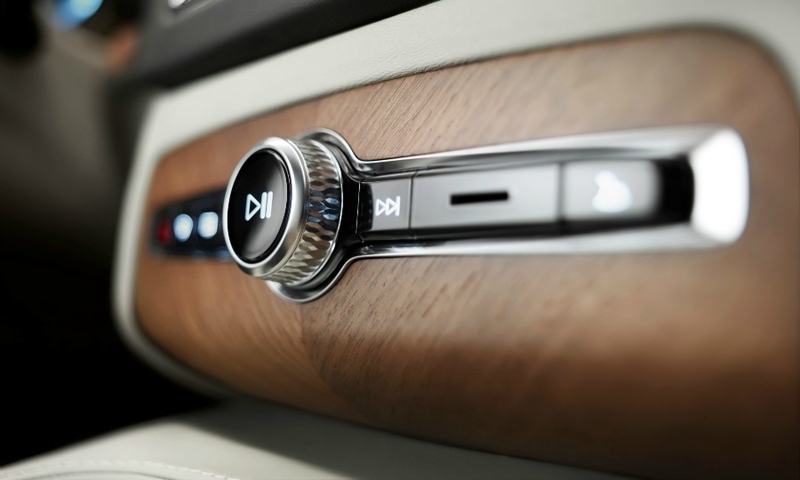 Through April Volvo’s global sales were up 10 percent to 145,426.